This is a Guided Meditation class held each Monday. I will take you on a guided meditation journey connecting with your breath, Crystals & Oracle Cards that resonate with what we are most needing at the time. It’s a refreshing night of letting go, connecting inward & tuning into our own Divine inner essence. 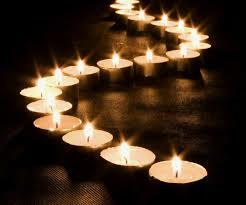 Each night is different, connecting us inward to our inner self, the quiet sacred space within. Connecting with our Hearts, Chakra’s, Animal Messengers, Guardian Angels, Ascended Masters & always connecting us to Mother Earth. If you would like to quieten your mind, let go of outer busy-ness, connect inward. Come & join us. Bookings required. This is a pay as you go class. Welcome to the Heart Connection & Amplification afternoon! It is here that we will give abundantly to your Heart, support your Heart & breathe compassion, sacred trust & liberate your Heart forward for you to be, allow & connect with you. This is gentle, yet so empowering! We will be accessing the Divine whispers & inspiration from your Heart, we will tune in & connect to your Hearts awareness of your day to day desires & re-visit some desires that are most ready to uncover, discover & re-activate keen passion & light to. Are you ready to breathe life into your Hearts bliss? What to bring: Your Journal, Pen & a bottle of water. Its time to embrace & connect into our inner aspects of our inner Divinity – connecting to the Goddess within! What aspects of yourself are ready to shine through & work for you? Are you feeling the need for some encouragement to connect to your inner power, your inner creative, your inner rhythm? What you are wanting to create & manifest in your life is wanting to come through you, express, awaken & discover! In Circle we will tune in & connect to then move forward in support, flow & connection! Bring your journal & pen, a bottle of water & an open heart. Tea & treats will be served! 2019 is going to be a big year!!! And after the big shifts changes, transformations of 2018 we are all so so ready! In our New Year Intention Setting Ritual afternoon I will take you through a process of sacred letting go & setting out offerings, prayers & intentions to bring in the new! The new for you in 2019! Are you ready? 🌟 On the eve of the New Year you will be able to do this process in your own quiet time, in your own sacred place down at the waters edge. All of the details in the process will be given to you. I will take you through it. This process is a beautiful & powerful process. It is so lovely to partake in & it feels magical as you go. Yet it may look simple on the outside, how it feels on the inside & all of the behind the scenes is big. So begin to feel into your true hearts desire & come & join us for an afternoon of connecting into more juicy desires to set free to the Universe, your Higher Self to bring forth for you in 2019. In our New Year, New You we are going to access our greatest enlightened selves to take that that we are desiring & manifesting to a whole new level. This will be illuminated for you & ready for you to access straight away! We can begin with where we are but…. let also access that that you may have forgotten, your inner gold pass! Lets take the messages, the signs, the impressions & inspirations & play!! Lets make it magical & powerful, for those that know they are ready or those that feel a inner “YES!” but have no idea where to begin, this is the afternoon of fun for you! After all this is YOUR Happy New Year!!! !